Saturday, Dec. 15, 2018 | 2 a.m. They filled a southwest valley church Thursday night as contemporary Christmas songs played in the background. Green and red lights illuminated The Crossings’ altar, which is usually reserved for worship bands. On the main floor, where hundreds more usually sit during service, 50 Nevada prisoners were instead being reunited with their families during the Hope for Prisoners event. Their kids, in-between tears of joy in seeing their incarcerated parents, opened gifts around a Christmas tree and each received a bicycle donated by listeners of a local radio station. 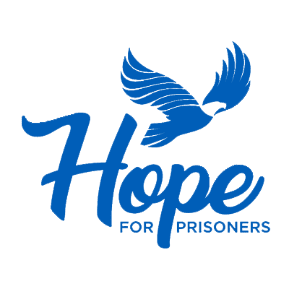 “These are some of the most at-risk kids, because for them mom and dad aren’t always around and then there’s a stigma about incarceration,” said Scott Herrold of SOS Radio 90.5 FM. “It increases the chance these kids are vulnerable to follow in similar footsteps. “Some of these people haven’t had quality time or had a Christmas with their families in years,” he added. The goal was to create a more normal holiday scenario where valley children could receive Christmas cheer, gifts under a tree and the joy of seeing their jailed guardian in a peaceful setting, Herrold said. The station’s listeners donated the gifts. Prisoners dressed in suits, slacks, dresses and other formal clothing to greet their families. Each family was seated in a circle of cushy sofas and next to their own lighted Christmas tree. Among them, 27-year old inmate John Muhlhouser held his arm around girlfriend Amber Perry, 31, with her children Lavinia, 12, and Lucas, 9. Metro Police Capt. Roxanne McDaris, a regular participant in the event, handed Lavinia a pink-colored rabbit stuffed animal, and Lucas a golden-colored stuffed dog. The children smiled and laughed as they hugged the plush toys. The family drove seven hours from Reno to see Muhlhouser for the first time since he was incarcerated in July. For McDaris and nearly a dozen more uniformed Metro staffers distributing stuffed animals, stickers and holiday cheer at the event, it also represented an opportunity to educate and connect with children in a more festive setting than what they are likely used to.